Meliá Hotels International is set to launch its new luxury hotel in the historical heart of Madrid in July 2016. 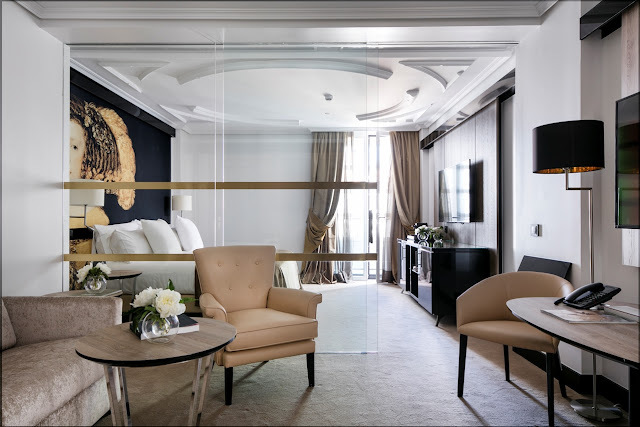 Gran Meliá Palacio de los Duques will become one of the city’s leading five star hotels and is already a member of the exclusive “Leading Hotels of the World” club. Located in the centre of Madrid de los Austrias, Gran Meliá Palacio de los Duques is minutes from the Teatro Royal (Royal Theatre), Puerta del Sol, Almudena Cathedral and the Royal Palace. The property was previously a palace and home to the Dukes of Granada de Ega and Villahermosa, art collectors, as well as members of the Madrid intelligentsia in the mid-nineteenth century. 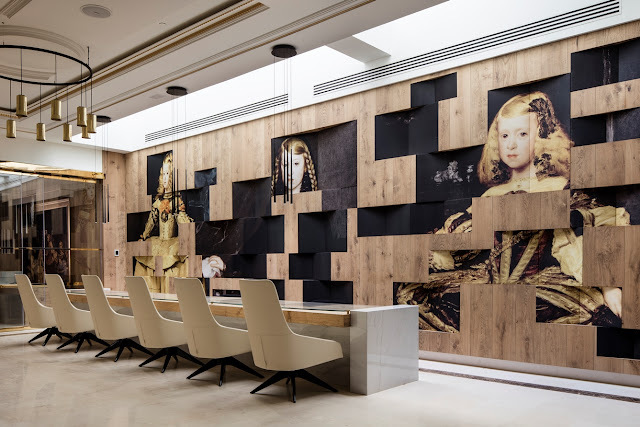 Gran Meliá Palacio de los Duques is dedicated to renowned Spanish artist Velázquez, who had lifelong bonds with Madrid as Philip III and Philip IV’s court painter. One of his pieces was donated to the Prado Museum by the Dukes and the hotel is already a prominent feature on the Madrid-Velázquez walking tour. The five-star property will feature reproductions of some of Velázquez’s most famous paintings. His exquisite artwork will be showcased throughout the guestrooms and public areas. With original features, such as the spectacular central staircase and a small private lounge, Gran Meliá Palacio de los Duques will offer 180 rooms and suites featuring a wide range of Clarins amenities. Guests can enjoy the exclusive RedLevel Service, offered by Gran Meliá Hotels & Resorts, designed to provide a boutique experience within the hotel. It includes a private check-in, an open bar and butler service. Neutral and relaxing colours have been used throughout the hotel including oak floors, Italian furniture designed by Molteni creating luxurious and functional spaces. The design scheme complements the history and architectural splendour of the building whilst offering modern surroundings. Many of the rooms and suites overlook Madrid’s rooftops, the Teatro Real and the Palacio de Oriente. 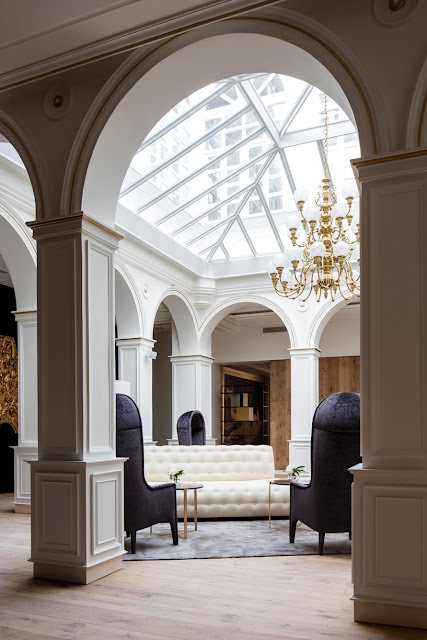 Gran Meliá Palacio de los Duques provides two excellent dining experiences with the Coroa Gallery Lounge & Gardens and Montmartre 1889 Restaurant. Coroa Gallery Lounge & Gardens offers guests an all-day dining venue with a menu comprising of Mediterranean specialities in an environment inspired by the artistic history of the property. An extensive cocktail and wine list will also be available throughout the day. The Franco-Spanish Montmartre 1889 Restaurant is inspired by the Paris Exposition Universelle. The menu pays homage to the creative process of artists whilst pairing the gourmet food with the highest quality wines from Spain and France. The hotel will also feature an Asian-style wellness area, the Thai Room and beautifully manicured gardens. It will boast a gourmet restaurant, a wine cellar with a selection of Spanish products and a signature cocktail- bar. Great post! Love the pictures! Do check out our stay at Gran Melia Palacio De Los Duques as well!